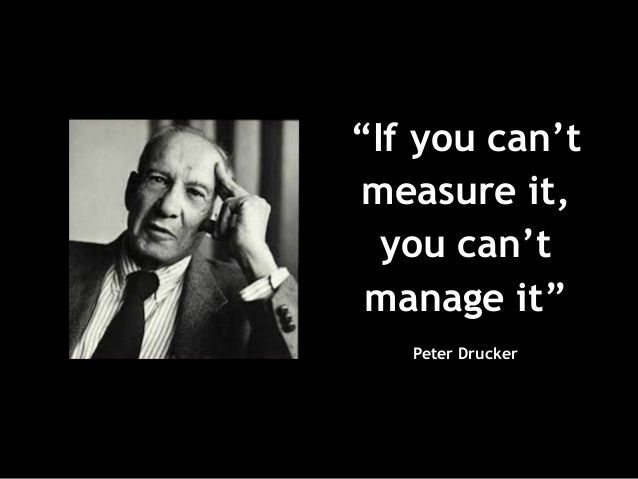 We’ve all heard the business maxim “If You Can’t Measure it, You Can’t Manage it!” this is an old principle which is still very much valid today. In this article we explore the principle, the importance of measurement and also taking action on findings on a continuous basis. 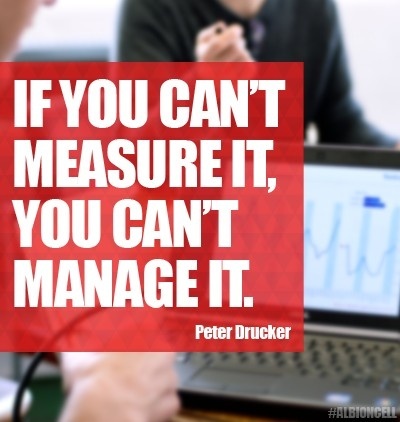 The maxim “If you can’t measure it, you can’t manage it” originated from the Management Consultant and Marketing Guru Peter Drucker. In his 60+ year career this is one of Drucker’s most famous quotations, so what lies behind the maxim? Key Performance Indicators (herein abbreviated to KPIs) are one of the fundamental analytical measures for the senior management team of a business. KPIs must be measurable and are key activities and statistics which are vital to successfully delivering the goals of the business. Also called “flash figures” in some businesses, the KPIs in a flash should tell senior management all they need to know to measure the businesses progress towards their goals. Analytics are of critical importance in the management of a business. Company Accounts are more than just produced for tax purposes; they provide a clear analytical output of the profit or loss of a business and also provide other useful balance sheet information (e.g. cash or stock levels). For businesses intending to measure the first stage in the process is to define. Involve employees from all levels to carefully define key KPIs and other measures necessary to manage the business. Make it as easy as possible to collate the information and in some cases business processes may need to change (e.g. invest in software) to collate the information. Once a business has measurements in place it’s now time to actively use them! Using KPIs and other measures is best managed though a Continuous Improvement Plan (CPI). The goal of the CPI is to measure and report the KPIs defined which in turns leads to ongoing continuous improvement within the business. A culture of a continuous cycle of improvement should commence – Define, Measure, Report, Improve, Repeat. (The definition is likely to only occasionally need redefining). It’s important for buy-in and managing an effectiveness business to communicate initial measures and ongoing improvements within the business. Everybody in the business will be interested from the MD down to the more junior ranks. Staff will be more motivated to improve if they know the baseline measures and what’s important to the business. Reporting of KPIs and measures can be by Email, Online or by posting on noticeboards as examples. It’s best to create visual information where possible, e.g. pie charts and other types of visually presented information. Report under and over achievements on KPIs with a view to seeking improvements, don’t hide from below par achievements – it’s a chance to improve. Similarly where performance is excellent, congratulate the employee and reward if applicable.